Apple has updated Clips, its easy-to-learn video creation and editing tool, to version 2.0.5. 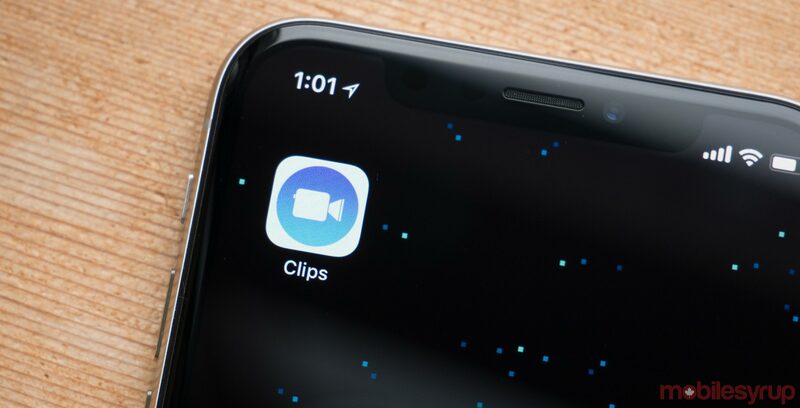 The update marks one of the more significant updates to Clips since it first came out, with Apple adding a variety of selfie scenes, filters, title cards and more. To start, there are six new selfie scenes. Using the company’s new TrueDepth camera system, iPhone X, XS, XS Max and XR users can transport themselves to a forest full of animals, a monster laboratory and more. Another new selfie scene allows users to shoot themselves in downtown Municiberg from Pixar’s Incredibles 2. When using Clips in conjunction with Apple’s new A12 Bionic-equipped iPhones, the app will deliver better subject depth of field separation in both preview and recording. Apple has also added three new filters, giving users the ability to add a monochromatic comic book, watercolour painting or vintage film feel to their videos and photos. Additionally, there are eight new posters, eight new stickers, and four new text labels that users can add to their creations. Lastly, Apple has added 17 new royalty-free soundtracks users can add to their creations. Several of the new tracks match the tone of the newly added selfie scenes. The remaining ones fit broadly in the pop, lounge and vintage categories that already available in the app. Clips is available to download via the App Store. The company first launched Clips last spring.